Before, During & After Each Seminar? 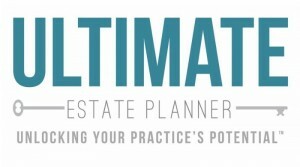 You could be one of the best estate planners, one of the best public speakers, or even one of the best marketing minds, but when it comes to successful seminars, if you don’t have the proper staff support and preparation before, during and after the seminar, your seminar marketing results will suffer. The science behind successful seminar marketing comes with a very clearly defined set of procedures to follow, many of which must be attended to by your staff. These steps are key to ensuring that not only does the seminar run smoothly, but that you actually get enough people to the seminar, make appointments right at the seminar, and follow up with leads after the seminar, so that they actually show up for their appointments and engage you. You can spend hours and hours of costly trial and error to figure out all of these steps and procedures on your own - - or, you can spend just 90 minutes with someone that has over 30 years of experience in successful seminar marketing. 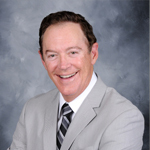 Join us and nationally renowned estate planning attorney and seminar expert, Philip Kavesh, for a very special presentation entitled, “Proper Staff Support - - The Days Before the Seminar, During the Seminar & Immediately Afterwards”. For more information about the series and to take advantage of this special bundle price for purchasing all 3 programs, click here.